I will admit to having my cranky pants on this week. There have been a few unsettled nights, teething, tears, poo on the floor, a couple of baking disasters and a few failed attempts to get some exercise in. Yesterday morning I was especially cranky, and decided to head into the city with Aiden to attend the Good Food and Wine Show. 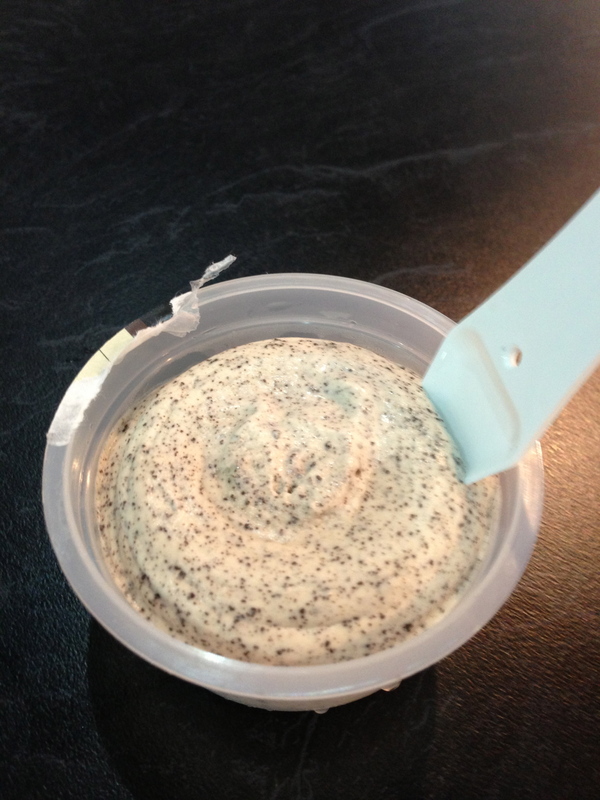 Maggie Beer’s Malted Milk and Chocolate Biscuit Ice Cream…. YUM! 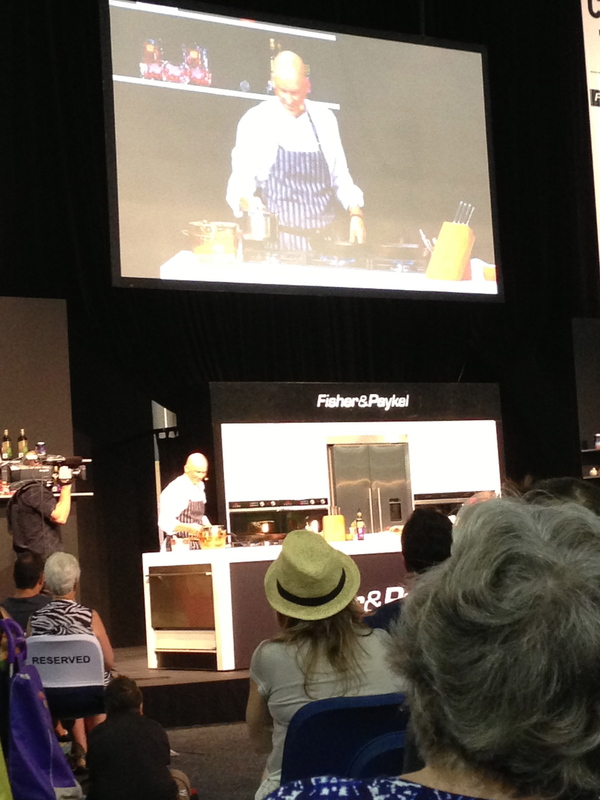 When I’ve attended the show in previous years, a highlight has always been attending the ‘Celebrity Chef Theatre’ and I’ve been fortunate to see some amazing demonstrations over the years. By the time we wandered over the first show of the morning had started (I admit we were late as I stopped for a coffee and a sample of Maggie Beer’s new icecream (Malted Milk & Chocolate Biscuit… Yum!) and we had missed the first half of Matt Golinksi’s demonstration. We settled down in an empty row towards the back, ready to enjoy the show, instead what I got was the reality check that I really needed. Here is a man who lost his wife and three children in a house fire during the early hours of boxing day 2011. On top of the unimaginable grief he has endured, he has also been physically recovering from the injuries he sustained during the fire – and here is he is almost two years later on stage, talking about the book he is working on and clearly passionate about his life. Sitting there I found my mind wandering, and thinking about what is really important, and that I shouldn’t ever take things for granted. It reminded me that we can sometimes make life more complicated and confusing than it has to be, and we can hold onto silly grudges (I will admit to doing this over the past few days). It’s not always about who is wrong or right, or letting the stress build up when life gets chaotic – what Matt reminded me is that our lives are precious and everything and everyone you hold dear can be taken from you without warning. As well as walking away with a great summer dessert idea (grilled peaches with toasted brioche and toffee macadamia nuts! ), I was also fortunate enough to leave with better frame of mind, and much more positive attitude. Where is the most unexpected place you have received a reality check?